Fundamental maintenance is necessary for keeping any container garden alive and thriving. My container garden hosts quite the arsenal of plants this year which requires a strategic plan of action. While it is easy to feel overwhelmed by the responsibility of gardening, creating a routine will help to simplify the maintenance. Adopting a watering schedule is very important. Plants growing outdoors in containers will need more care and attention than plants growing indoors. Outdoor plants will require more frequent watering. Many factors attribute to the watering needs of a potted plant. These needs will depend on the size of the plant, pot, temperature and location. A good quality potting soil is preferable. Cheap soils may have a lot of filler that will cause the dirt to dry out quickly. I prefer to mix my own soil when I have the space and time—this year I’ve used a mix of cow manure compost, soil conditioner, sand, and a high quality potting mix. I mix in accordance to the need of the plant; the size of the plant in ratio to pot size should be taken into account when mixing soil. When planting a small plant in a large pot, a lighter soil mixture may make all the difference on whether the plant lives or dies. Nearly all newly purchased plants will need to be repotted into a bigger pot with fresh soil. To check if your plant needs repotting, simply turn over the pot and look at the drainage holes to check for visible roots. You may also gently remove the plant from the pot, if it comes out as a large, root entangled clump then it is time to repot. 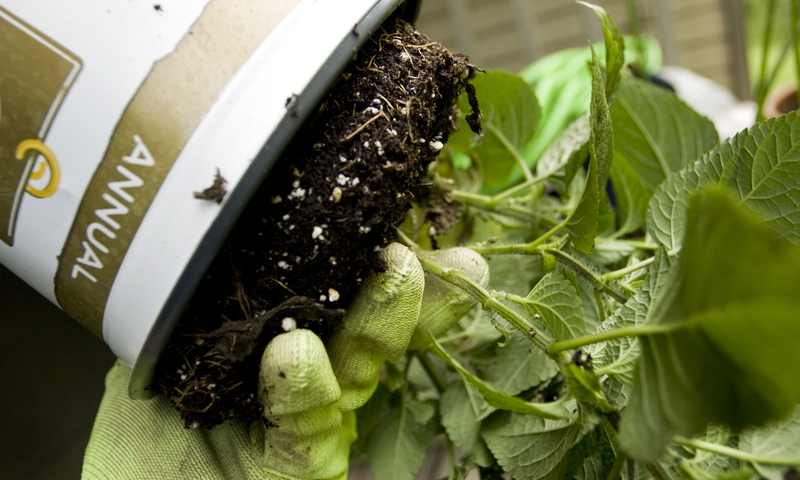 When repotting, it is important to loosen the roots—some dirt should be left around the roots. Does your potting soil bag say it will feed your plant for six months? While this may be true for some plants, I have found that any vegetables, herbs, or plants that are heavy producers or fast growers will require fertilizer before the six month period. 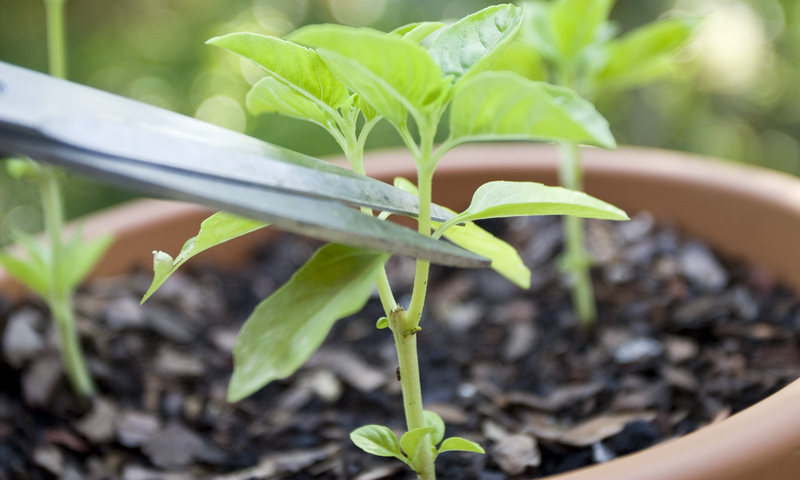 Using a good fertilizer on a regular schedule will help keep your garden green and thriving. Heavy feeders will require fertilizer weekly; while light feeders may require it monthly or less. Every plant will show signs of stress when in need of fertilizer; this may include yellowing or paling of leaf colors to wilting of leaves and lack of new growth. Many plants will fail to thrive if not pruned. 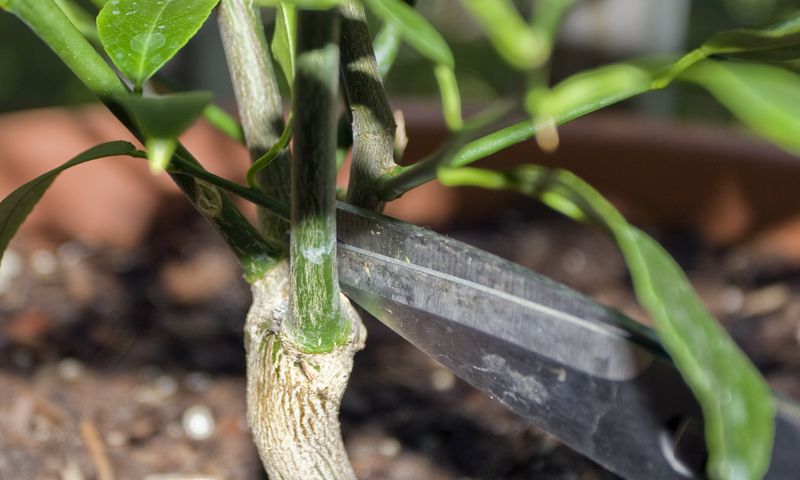 Pruning not only shapes a plant, but encourages bushy, new growth and proper airflow to prevent diseases. This is especially useful with herbs and necessary with fruit trees. Herbs will bush out, producing more leaves to be collected for your next meal. Pinching back new growth will also help delay flowering to prolong the usability of the plant. According to Alli Cobra of our own “Greenhorn Wisdom” fame, for fruit trees, it is necessary to remove center branches to help air flow and prevent disease. Flowering plants do best when deadheaded. This is the removal of dead or dying flowers. By removing the dead flowers, the plant will put more energy into producing new flowers instead of producing seed. 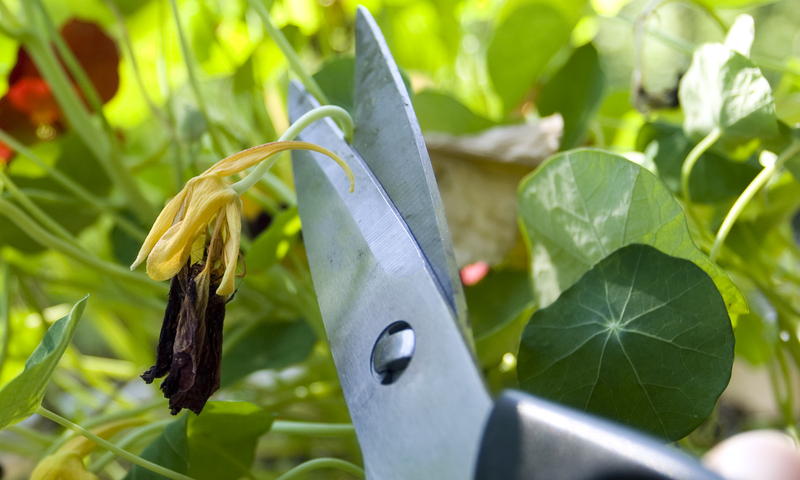 Many plants can be kept flowering throughout the season if deadheaded when necessary. When growing in containers, plants will need protection from the weather. This is particularly true if in a place with a harsh winter and long periods of frost. According to Alli, surrounding the pot with mulch or leaves, placing in a shed or garage after reaching dormancy or placing them in a trench may make all the difference on whether the plant will survive the winter to thrive when spring arrives. 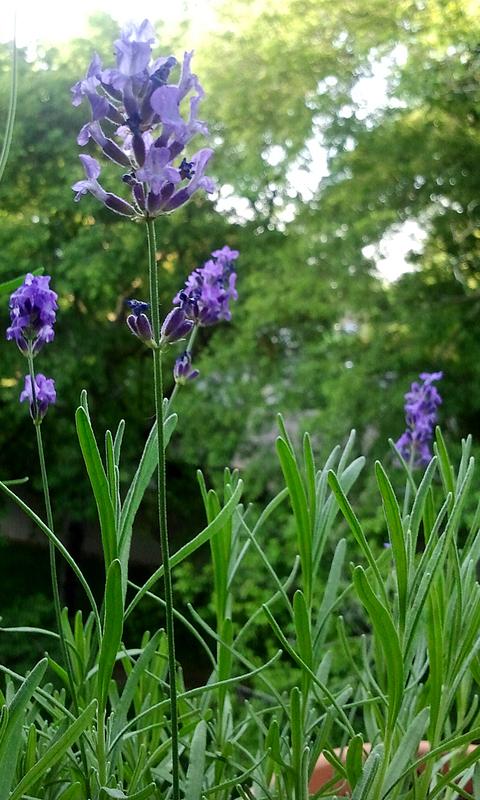 Growing on a balcony will also leave plants more prone to being blown over or knocked over by a pesky squirrel. To help discourage this, place a layer of small rocks in the bottom of pots. Whether protecting one plant or many from a troublesome squirrel, every garden thrives with a little routine. Armed with the basic knowledge of container garden maintenance, any garden under your watch will not only remain green and lively, but will flourish and impress.